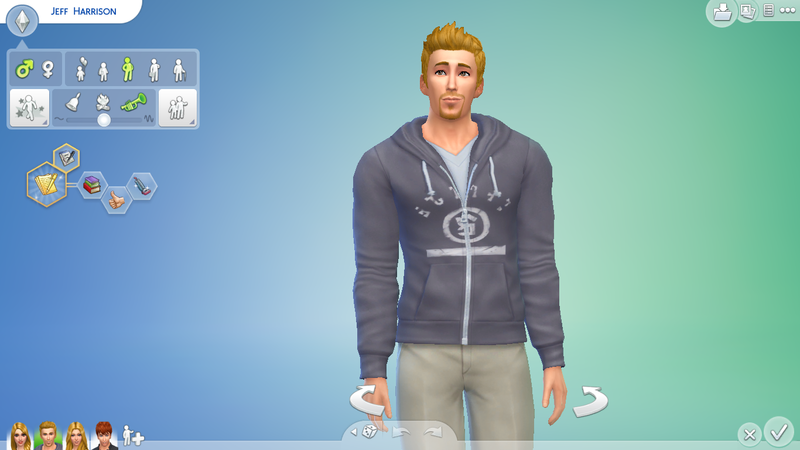 I unlocked my origin preloaded Sims 4 yesterday at 12am at night and played it till 4am.So I'm sharing here my Sims 4 first day gameplay experience.After starting Sims 4 when I clicked the play button I was directed to CAS.However,I've already created my Sims in CAS demo.I just imported and put them into one household named Jordan.I created 4 Sims and they've no traits in common so that i can explore many traits at once. 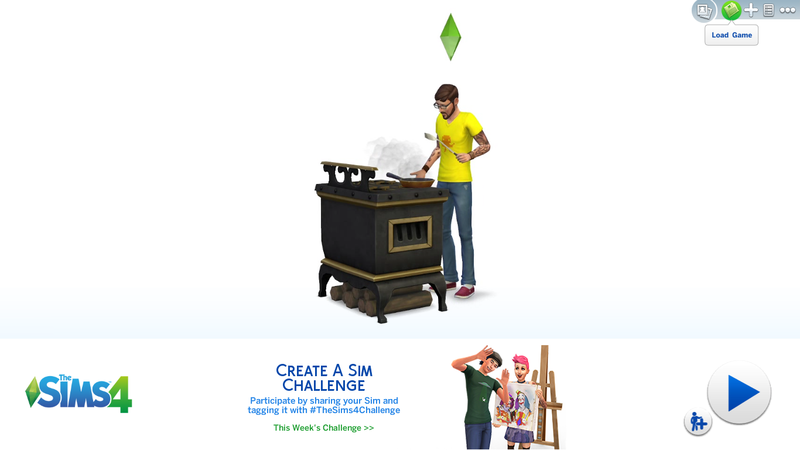 By the way,there is also an option to load my saved game in the Sims 4 main screen. 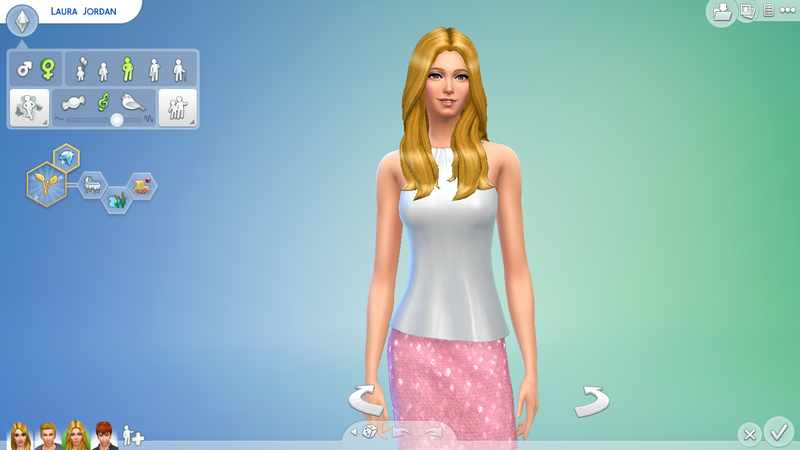 Here is my first Sim Jennifer.Her traits are Romantic,Ambitious and Outgoing.Her aspiration is finding Soulmate and she got Alluring trait as a bonus aspiration trait. 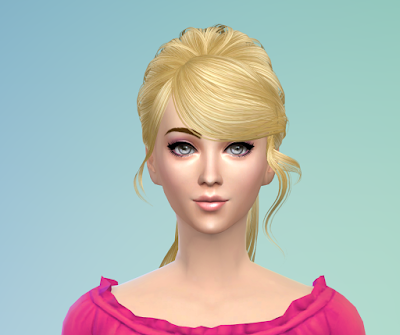 My second one is Laura with Family Oriented,Loves Outdoor,Foodie traits.Her aspiration is becoming Freelance Botanist and she got Collector trait because of her aspiration. 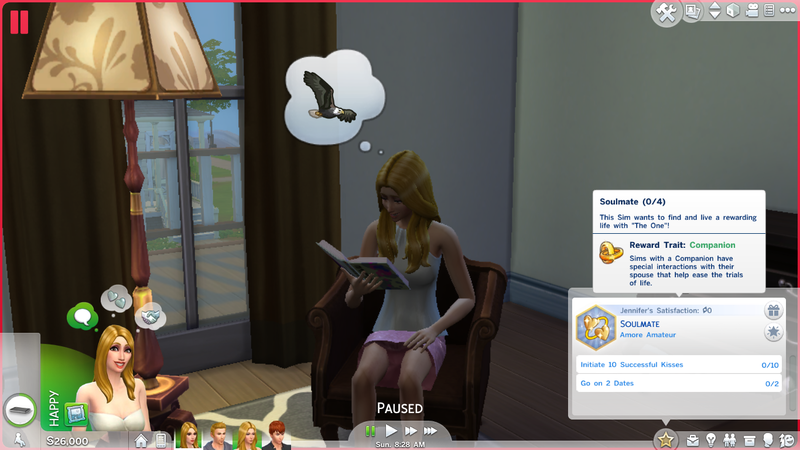 Meet Jeff,my third one.He got Bookworm,Good,Neat and bonus Muser trait.His aspiration is becoming Bestselling Author. 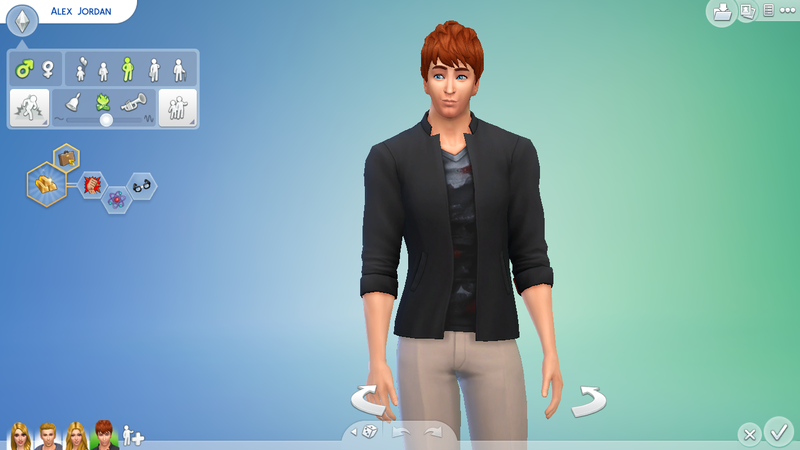 My last one,Alex who is Self Assured,Genius,Geek and Business Savvy.He wants to be Fabulously Wealthy. 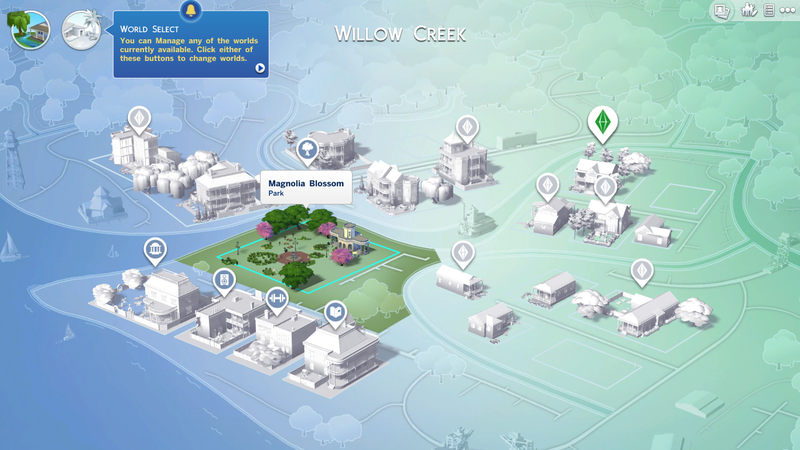 I moved Jordan family into Brook Bungalow in Willow Creek.The above picture is of the map view in Sims 4.Actually there is no map view like Sims 3 in Sims 4.This neighborhood view is shown when you you want to move your household and when any of your Sim want to travel.In Sims 4 you can travel between worlds too. 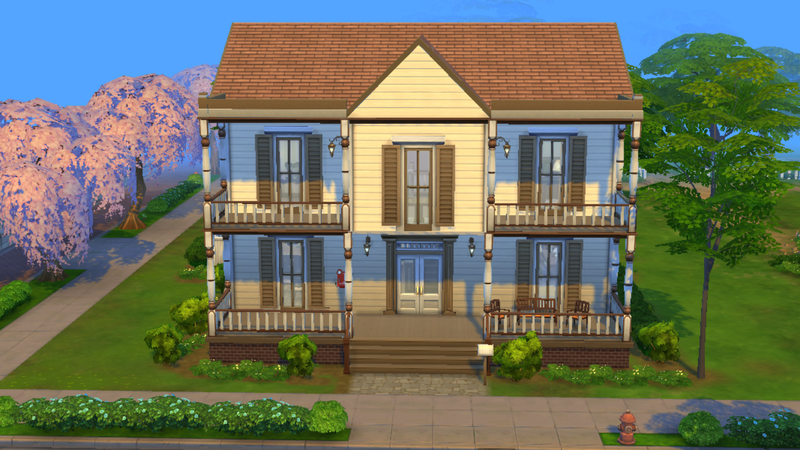 Brook Bungalow is a premade house.I'll build my own house later.I took the screenshot below in the same way i take screenshots in Sims 3 by pressing "C" on keyboard and I hid the UI by pressing "Tab" on keyboard like in Sims 3. The lower left side of the live mode UI is showing that Laura got Decorated moodlet which made her happy. 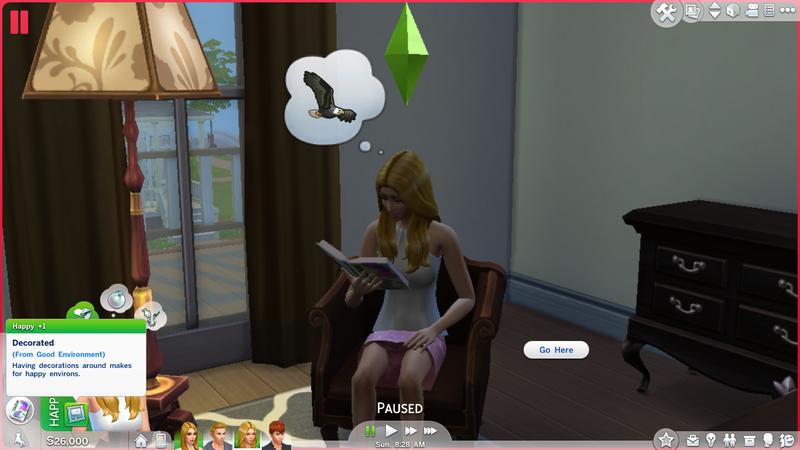 The thought bubbles above Laura's portrait in UI is called whim,they're like Sims 3 wishes and fulfilling them will give your sim Satisfaction Point something like Lifetime Happiness Point in Sims 3.In Sims 4,I can also know the causes of my Sims' wishes/whims but not in Sims 3.In the above picture you can see that one of Laura's whim is to tell a joke and she wants it because she is feeling happy.So,my Sims' emotions are related to their whims. 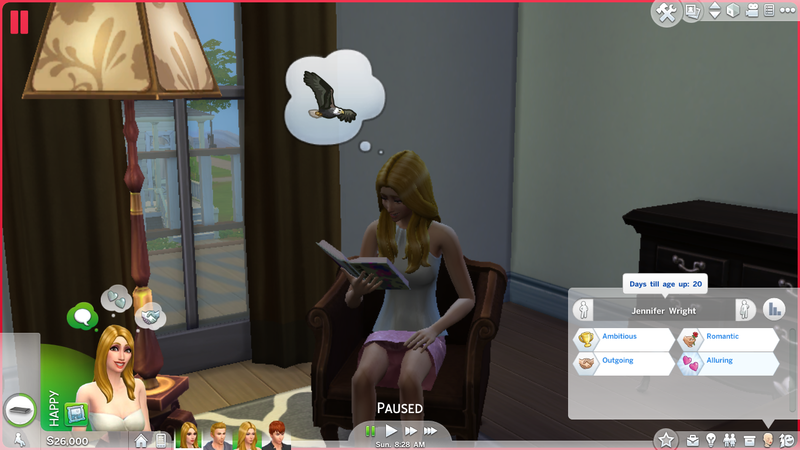 Her second whim 'Plant Something' is from her Freelance Botanist aspiration.And the third one 'Catch a Fish' is from her 'Loving the Outdoors' trait.I can also cancel any whim if I don't want to fulfill it. 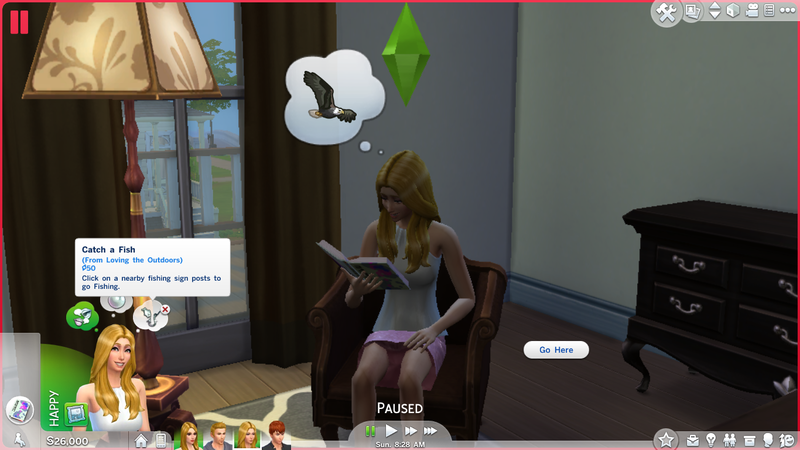 The left side of the UI shows Sims' action queue as you can see from the picture below that Jennifer was reading ebook on her tablet and I canceled the action. 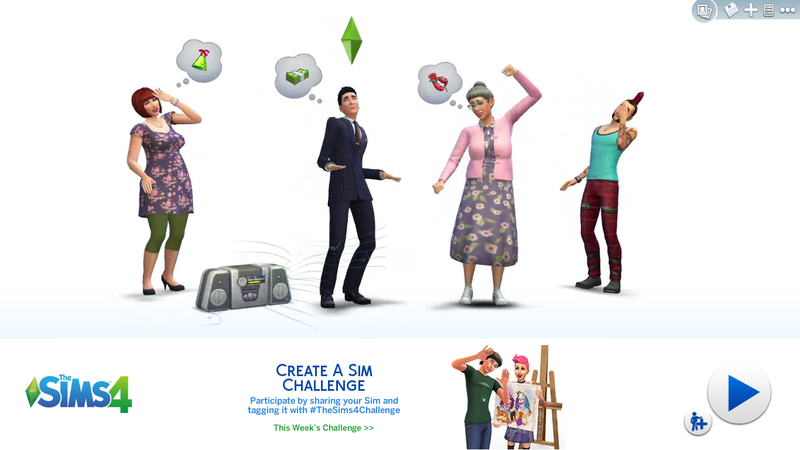 Sims 4 aspiration panel is shown in below.The aspiration panel shows my sims' aspiration related goal and fulfilling them will also grant my Sim satisfaction points.I can purchase reward by this points like in Sims 3.But in Sims 4,Sims can purchase new traits by this points.The panel also showing that my Sim will be rewarded a trait named 'Companion' by completing aspiration.However,in Sims 4 selecting an aspiration track is not a permanent decision like Sims 3.Sims can pursue any and all aspiration tracks at once. 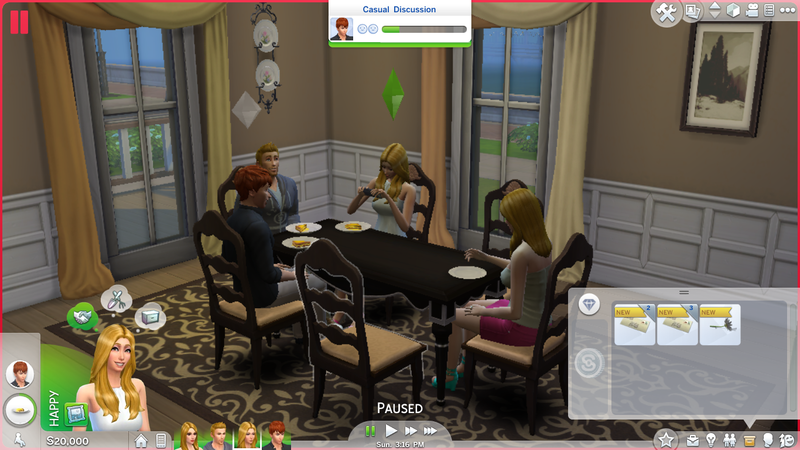 The pictures below are showing the relationship panel and the simology panel. 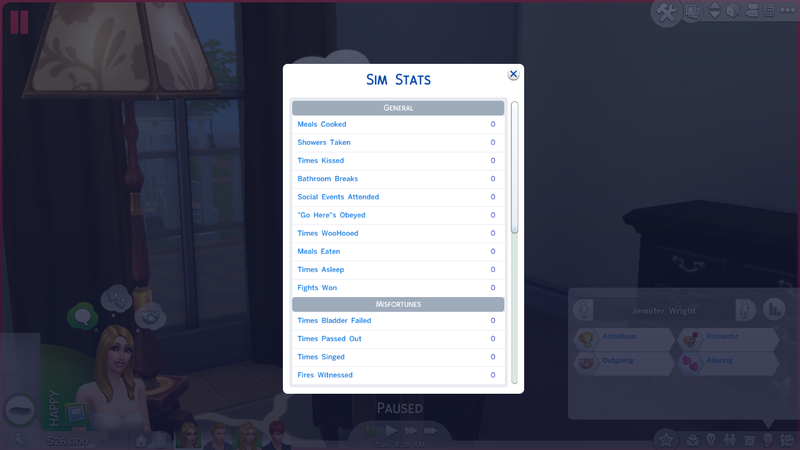 I can also view my Sims' statistics in the simology panel. 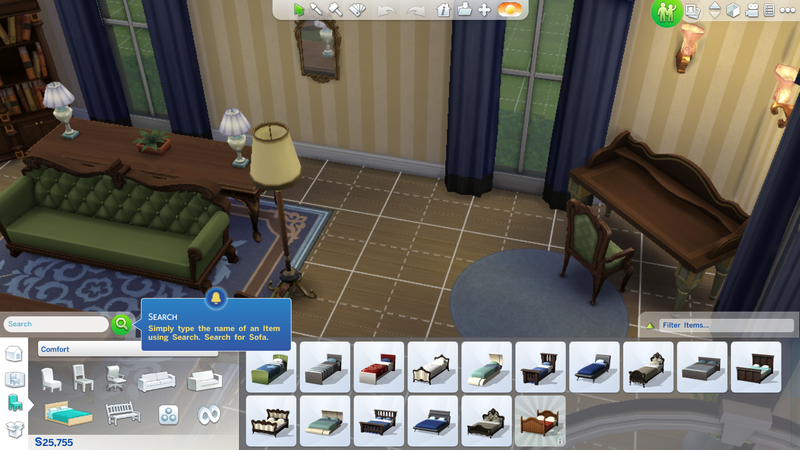 Here is the Sims 4 "need" panel. 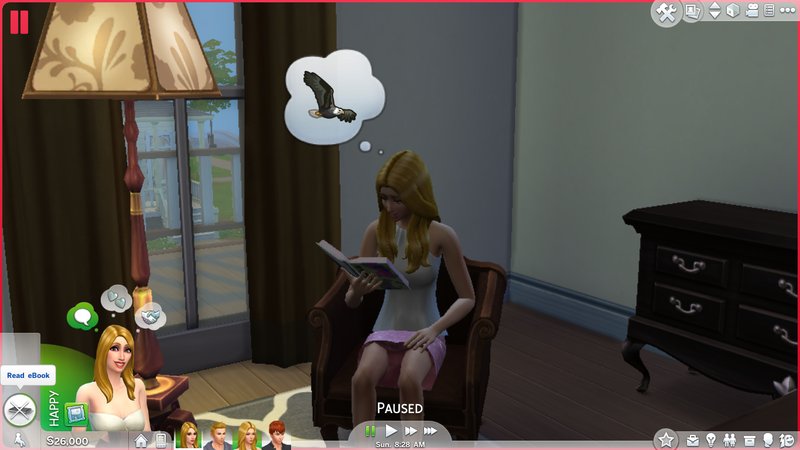 While Laura is reading book Jeff got a whim to chat with Jennifer.He autonomously went to fulfill his whim. 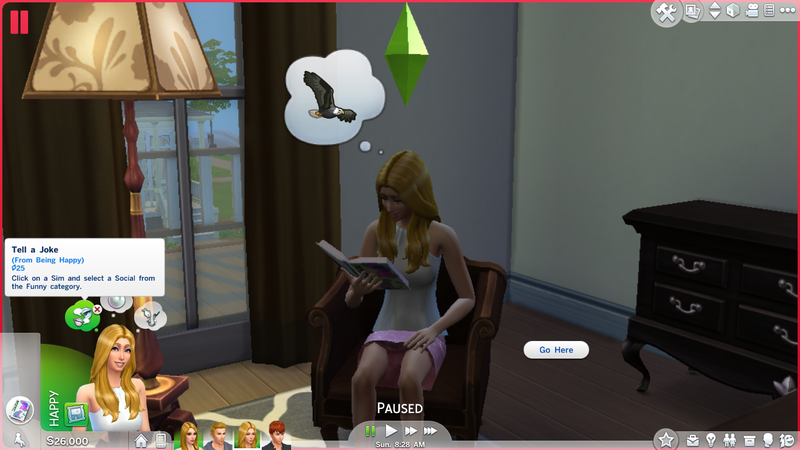 As Laura wanted to tell joke I sent her to have a joke with Alex.I love the way how she sat on the chair,turn to Alex and told him a joke instead of going straight in-front of Alex and telling the joke like in Sims 3. 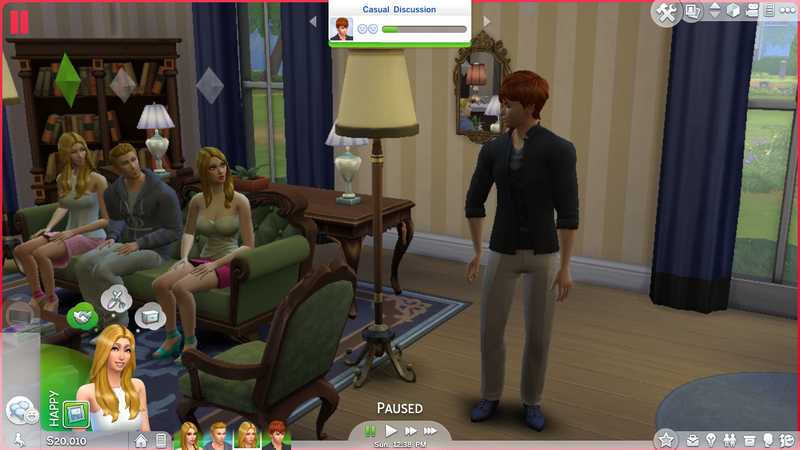 Laura acquired the Comedy skill by joking.Meanwhile Alex got a whim of getting to know Jennifer.So I sent him for that.And they all got engaged in a group conversation autonomously. 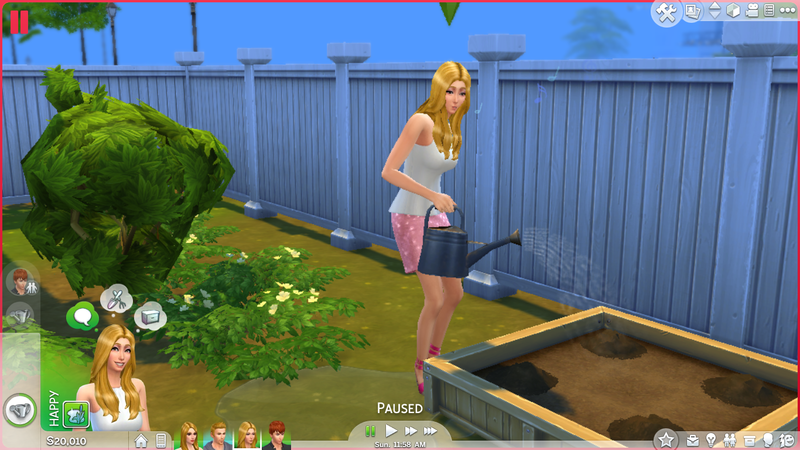 After that I sent Laura to do some gardening according to her wish/whim.There is a little space for gardening at the backyard of my house. 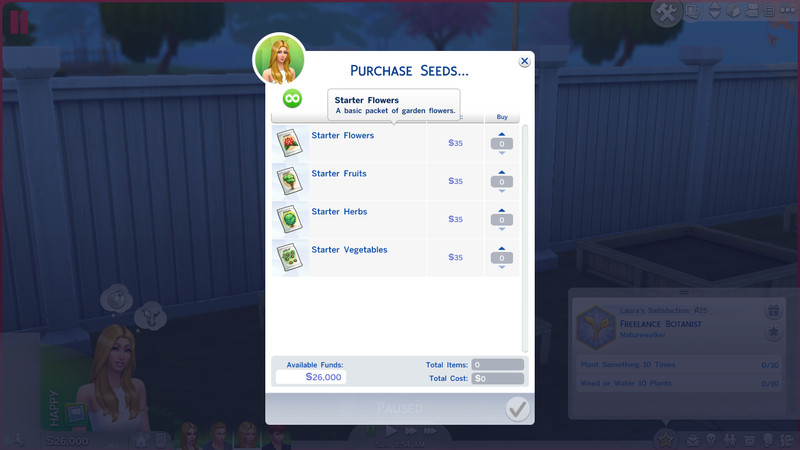 My Sim can purchase seed from the gardening bed/pot.The seed packet goes to her inventory after purchasing and from there she opens the packets.Here is the list of seeds available to plant in Sims 4.Yay! 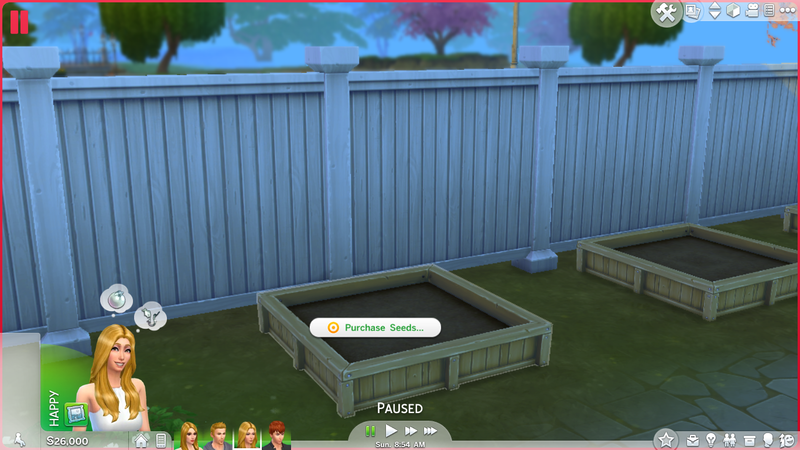 i can now plant flowers. 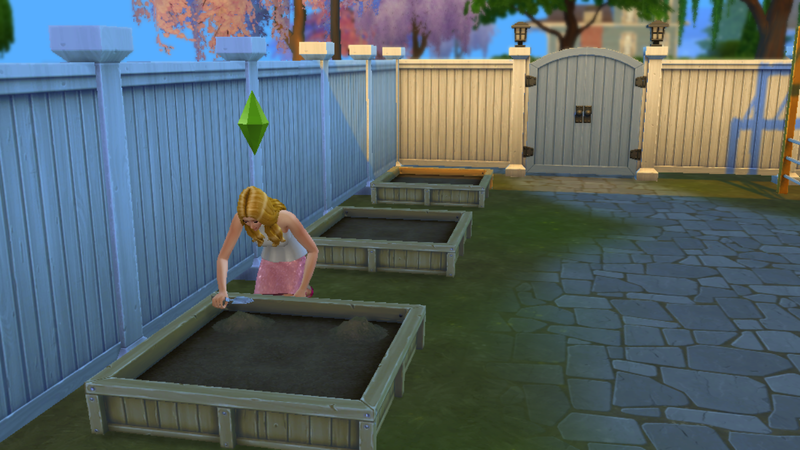 Laura purchased some seeds of flowers and planted them. 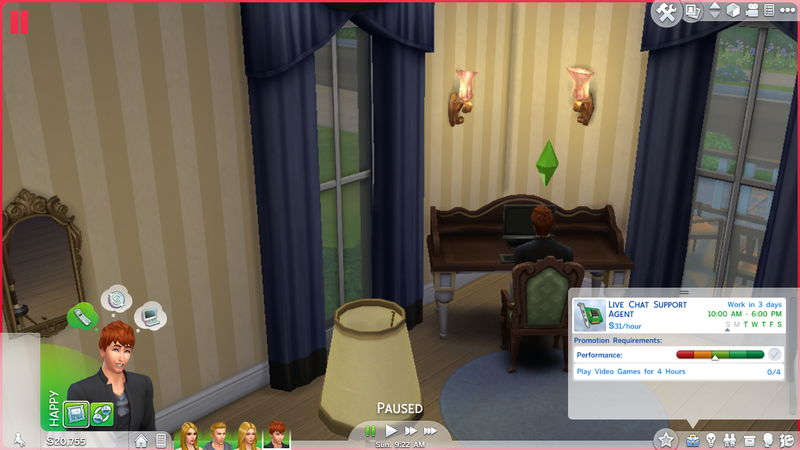 I entered the build mode to buy computer so that Jeff can practice writing.Now I can search objects by name in the search panel in build mode.I can also save my game from build mode which I can't do in Sims 3. 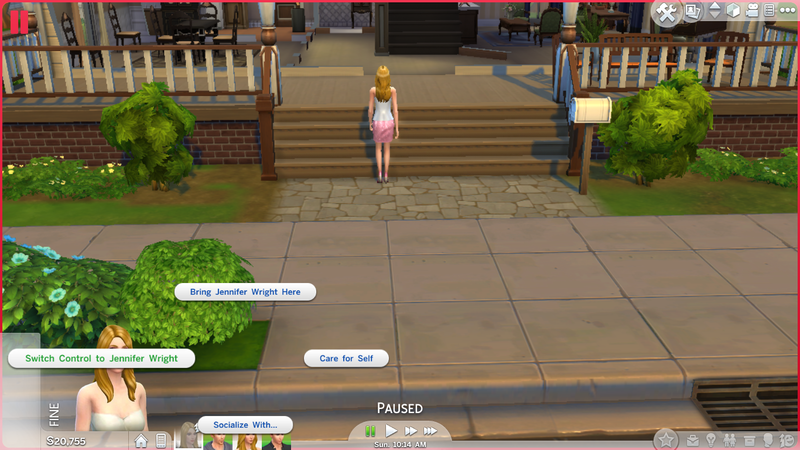 While Jeff was practicing writing on the newly purchased computer I sent Jennifer to the park by clicking Travel from her phone. 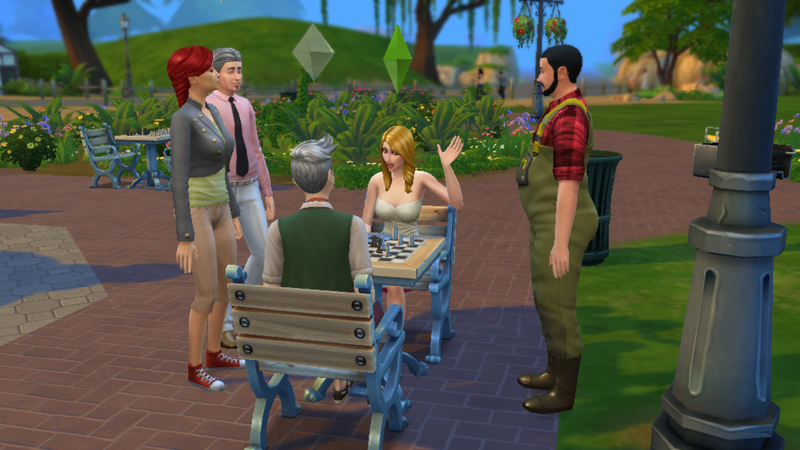 However,I hate the fact that Sims 4 have no cars.As soon as Jennifer reached the park she ran to play chess with an old woman.We already know that Sims can multitask in Sims 4.As a part of multitasking while playing chess the old woman Jennifer socialized with Camilla,standing in-front of the chess table. I think Jennifer is pretty attractive because everybody wants to socialize with her. 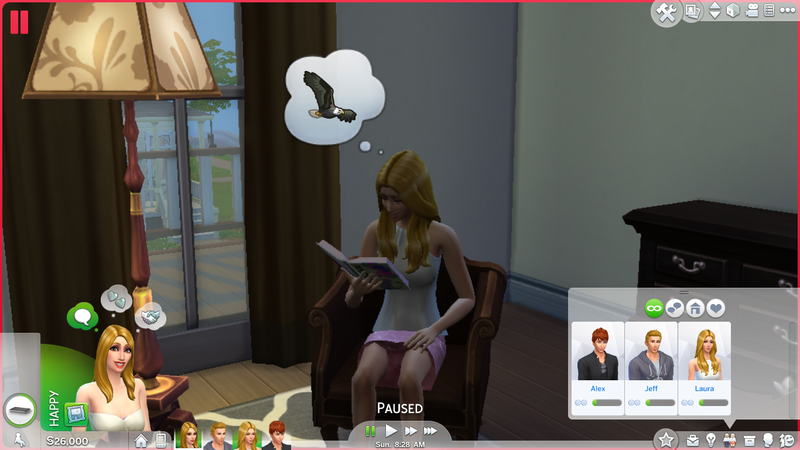 I switched back to my house to care for my other Sims while Jennifer is in the park.Time isn't stopped in my house like in Sims 2 while I'm at the park.You can switch to different Sim who're at different places by clicking on their portrait,then click care for and select switch control to that Sim. 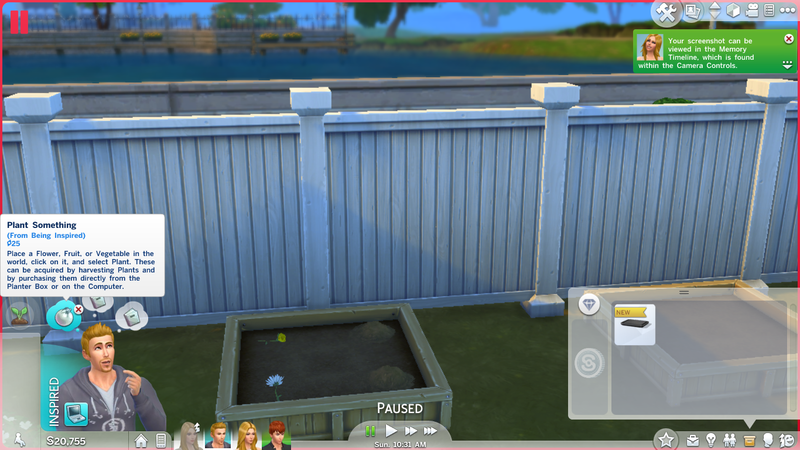 When I switch back to my house I found Laura finished her planting.I found Jeff inspired and he got a whim to plant something as a result of his inspiration. 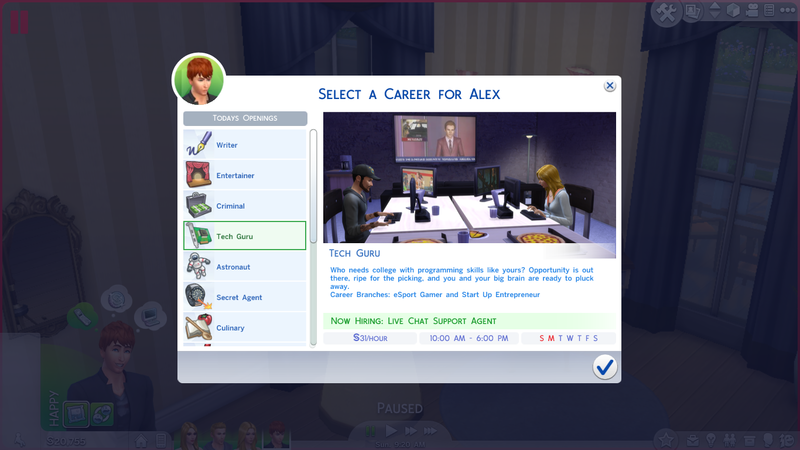 I chose a job for Alex as he wanted and I thought Tech Guru career is best suited to Geek Alex. 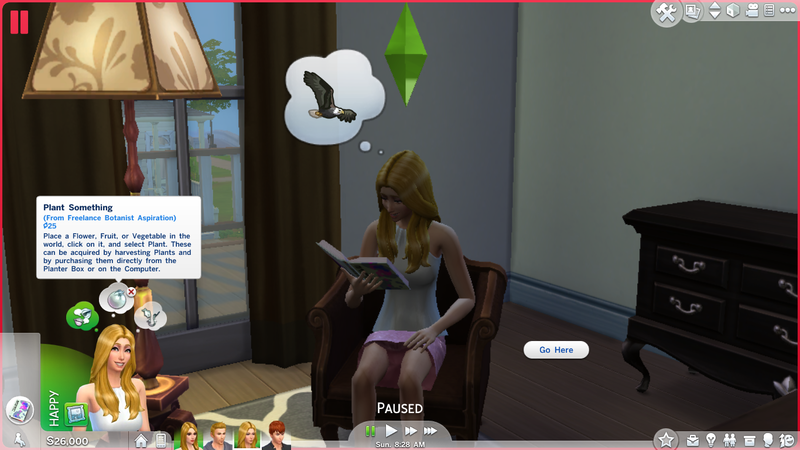 Here is the Sims 4 career panel in UI.In Sims 4 job has objectives which you required to fulfill to increase job performance. 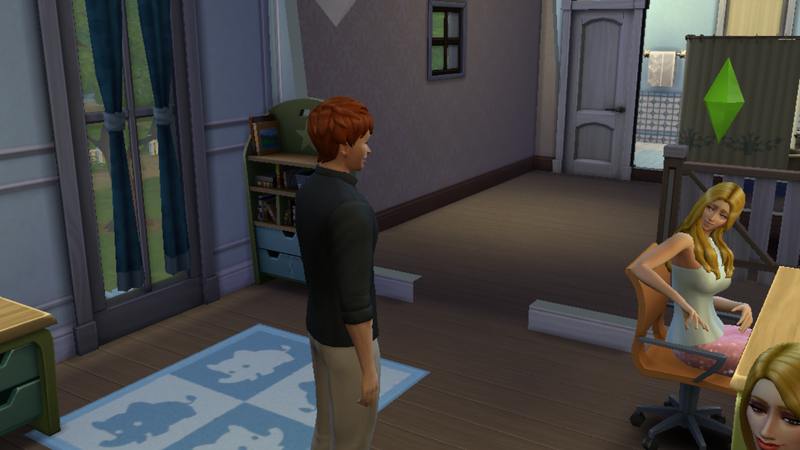 I brought Jennifer back to home.She went to chat with Alex,dancing to the stereo. 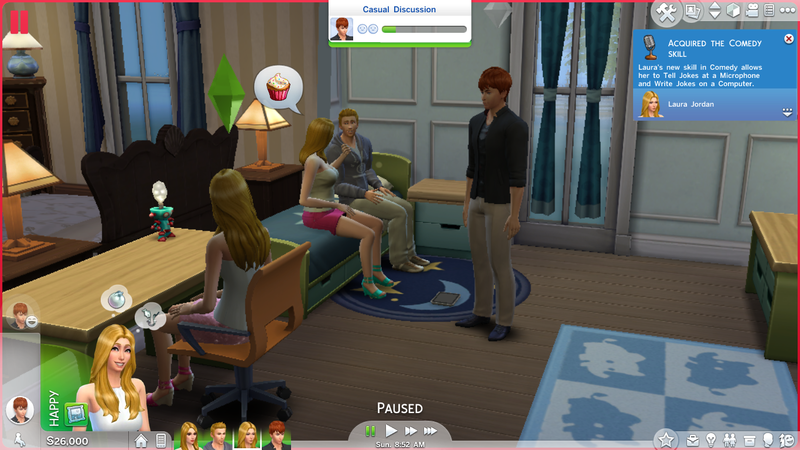 Jennifer sat on the sofa talking to Alex,Jeff and Laura also joined the discussion.Actually Sims automatically gets engaged in group discussion in Sims 4 while talking to each other for example while Jennifer was talking to Alex sitting on the couch,Jeff came,sat beside her,asked her about the day and Laura too came to get to know Jeff and there started a group conversation automatically. 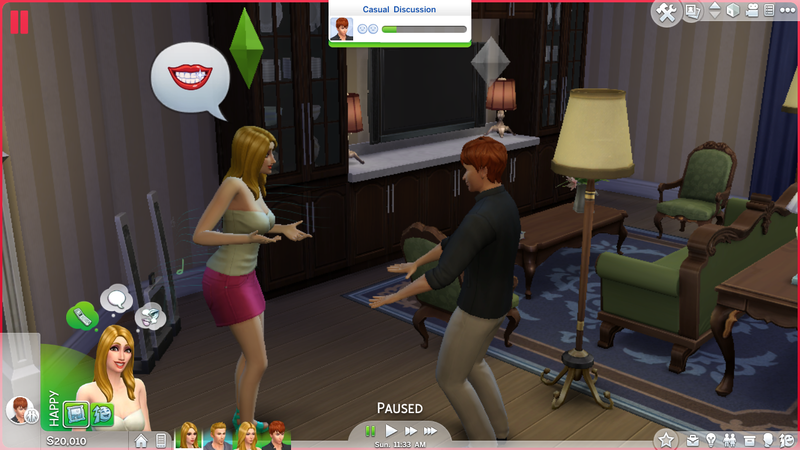 I love the scene when Alex told a joke to jennifer while dancing,Laura and Jeff also listened to him and join the laugh with Jennifer. 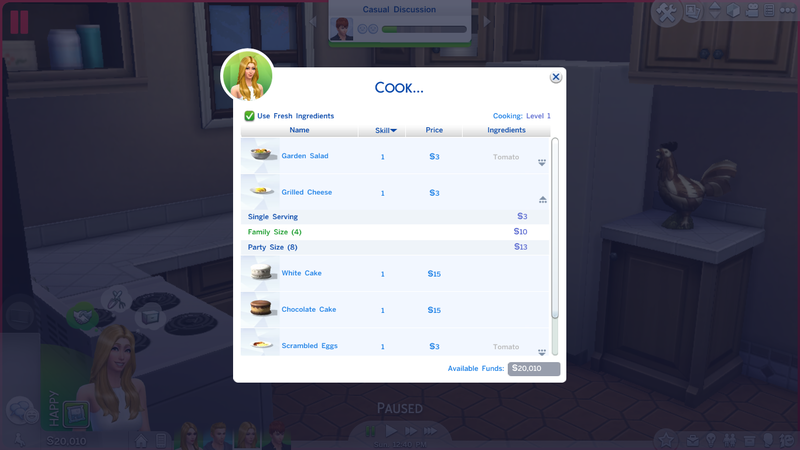 Now it's time to do some cooking.I gave Laura culinary career and sent her to serve food for the family.Besides traditional pie menu appearing while clicking on the fridge,the menu below also appears when 'cook' interaction is clicked.I selected family size serving of Grilled Cheese. 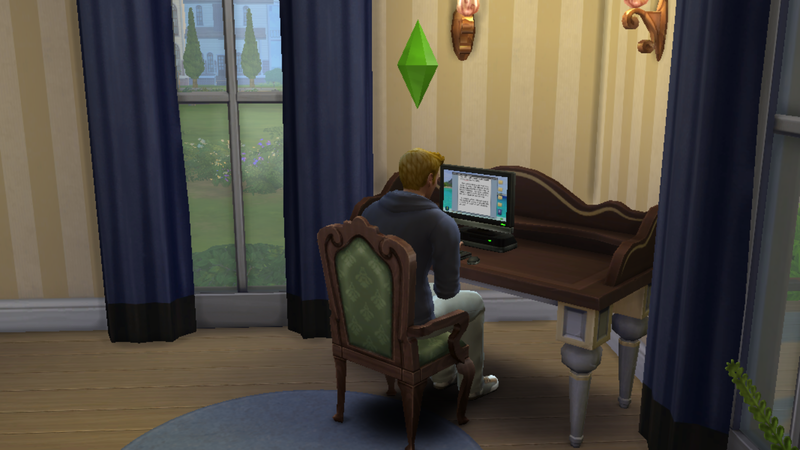 Meanwhile,Jeff felt again inspire by browsing art on the web in computer as we've already known that Sims' actions are related to their emotions and vice versa. 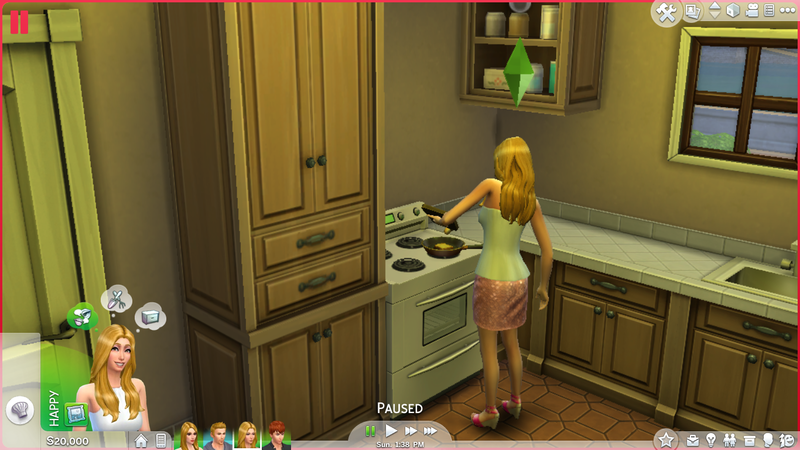 Did I see Laura taking a picture of the food with her phone autonomously while having lunch? 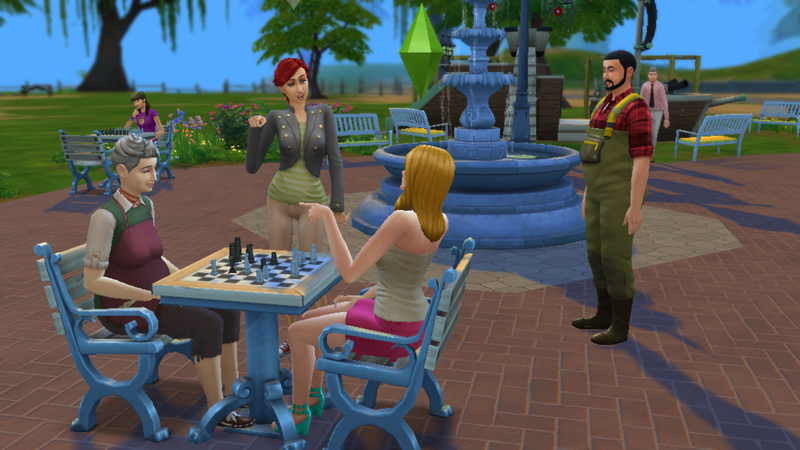 That's all for today.I'll continue sharing my experience with Sims 4 in my upcoming posts.